“A positive self-image is reflected in a strong, confident business image – leading to better impressions and greater success.” That belief was true 15 years ago when Jen Lester and I started Philosophy Communication, and it holds true today. 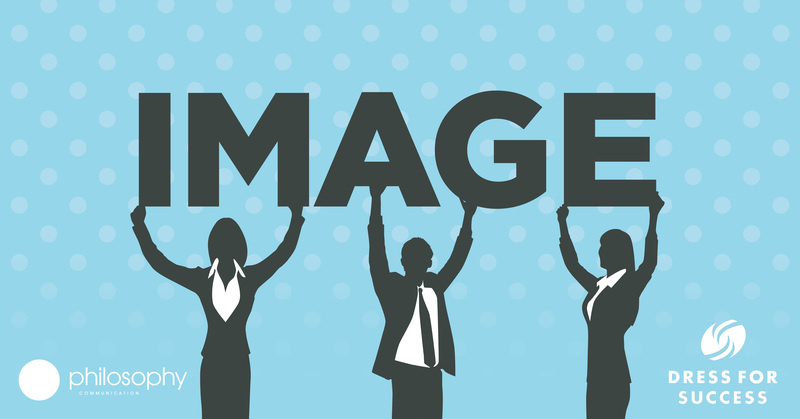 We believe image is at the crux of any successful marketing and communication campaign, whether it’s for an individual or a company. As humans, we form impressions about people, products and brands within seconds of first meeting or hearing about them. It is important to be aware of your image and make sure it reflects exactly what you want it to. Studies report that it takes anywhere from seven to 17 seconds for someone to form a first impression, and 55 percent of that first impression is shaped by physical appearance. About seven percent of what we think about someone is based on what he or she says. Bottom line, how you look and what you say matters. Philosophy Communication has been working with some of Colorado’s and the country’s premier consumer brands. From the Colorado Department of Agriculture to Sub-Zero and Wolf appliances, Philosophy has helped shape corporate images for the better. Now we are using our marketing and public relations expertise to help the Denver chapter of Dress for Success, a nonprofit organization that offers professional development programs that instill courage, confidence and belief for women-in-need. Dress for Success helps women dress and prepare for a professional job, whether they need help preparing for an interview after years of unemployment or advancing a newfound career. Philosophy wouldn’t be successful 15 years later without the help and mentorship of other professional women, and a foundational belief that we must be our best to do our best. We want to leave a mark that’s deeper than just the work we do for clients. We want to leave a mark that truly makes a difference in people’s lives. We want to help other women feel confident, move ahead and leave their own mark. Our team members will host clothing and fundraising drives in their respective communities and volunteer to be personal stylists or mentors for the organization. We will also help promote and drive attendance to the Dress for Success 2nd Annual Winter White Fashion Show and fundraiser on November 4 at the Ritz Carlton in downtown Denver. The event takes place from 6:00 p.m. to 9:00 p.m. and is open to the public; attendees are encouraged to bring an item of clothing and take advantage of opportunities to network with and learn from Dress for Success participants and leaders. To learn how you can donate to one of Philosophy’s clothing drives, contact us at 303-394-2366 or email Angela Shugarts at ashugarts@philosophycommunication.com.